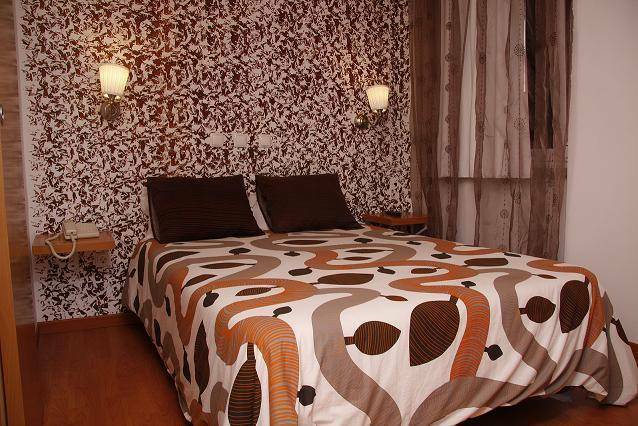 Renovated on 2012 , the Hotel offers the guests a welcoming environment. The reception is open 24 hours, and here you will find people willing to help you visit all the interesting parts of the city of Lisbon. The hotel is located in the centre of Lisbon. This whole area is commercial and has many shops, boutiques , supermarket and restaurants of all kinds. The Hotel has Singles, doubles and triples rooms. All rooms are provided whit private bathroom, telephone and flat screen TV, where you can access to a many international channels. 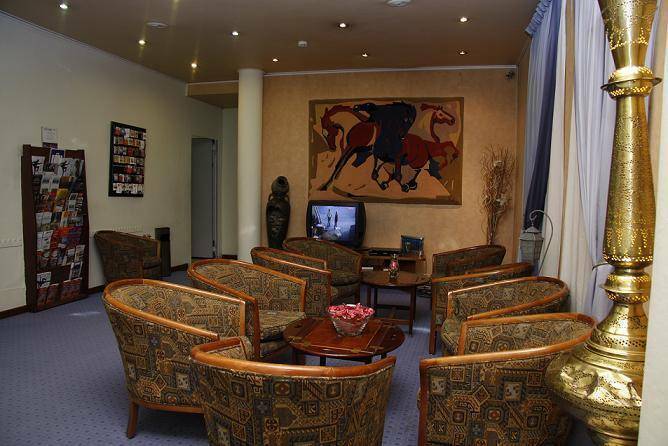 The hotel offers free Wi-Fi in all areas of the hotel and help on car rental service. We have a luggage room where you can leave your bags if you have late flight home. We also have free maps of the city of Lisbon for your street navigation. We are very dedicated to creating a clean and safe environment at the hotel for our guests. The hotel distance 4. 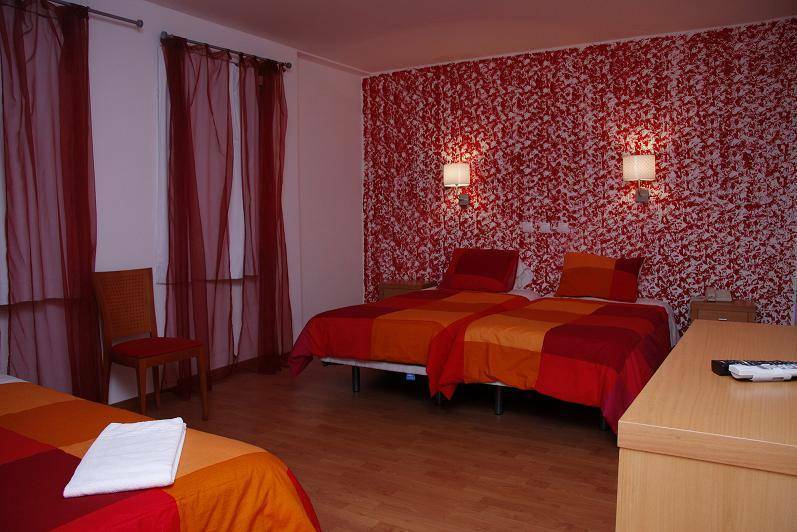 5km from Lisbon Internacional Airport. The subway station Arroios is only 5 minutes walk and is only 4 stations (5mnts) to the historic city center : Rossio. From here you can visit the Castle of S. Jorge (2. 5 km / where you have a stunning view of the city), Alfama (2. 5 km / with its typical restaurants), Botanical Gardens (2 km), Shopping Saldanha (1 km), Shopping Amoreiras (3km) Bairro Alto (2km), Hard Rock Café (3km), Nations Park (6 km). 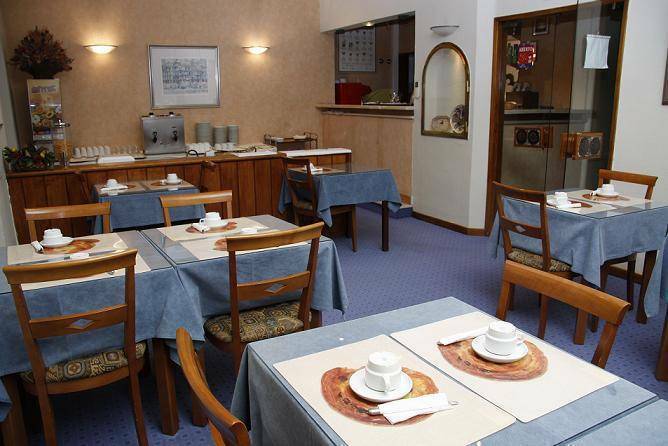 In our spacious and pleasant breakfast room, guests can enjoy a nice breakfast between 7:00 to 10:00h. In our spacious lounge room, guests can watch sports on TV and have a drink at the bar, open all day for drinks, sandwiches and pizzas. Cancellations must be made 48 hours prior to arrival. Late cancellation or NOSHOW, we will charge the first night. You just need to ask the driver to take to Largo D. Estefania, very close to the Rua Pascoal de Melo and we are at number 130. You can reach the hotel by Subway (Red Line / Airport-Saldanha), or by taxi or by bus (Aero-bus). You need only to ask the driver to take you to Praça do Chile or Praça de Saldanha, and then take Largo Da Estefânia. Finally, take the exit to Rua Pascoal de Melo and we are at number 130. Arrive at Arroios Station (green line) and the hostel is a 5-minute walk from the subway. Or arrive at Saldanha Station (yellow line) and the hostel is about a 7-minute walk. You can take the bus number 22 and ask the driver for Largo da Estefânia. You can reach the hostel by car, by taxi or by bus (number 22). You can reach the hostel by car, by taxi or by bus (number 6 that will take you to Av. Almirante Reis, near the Arroios subway station).